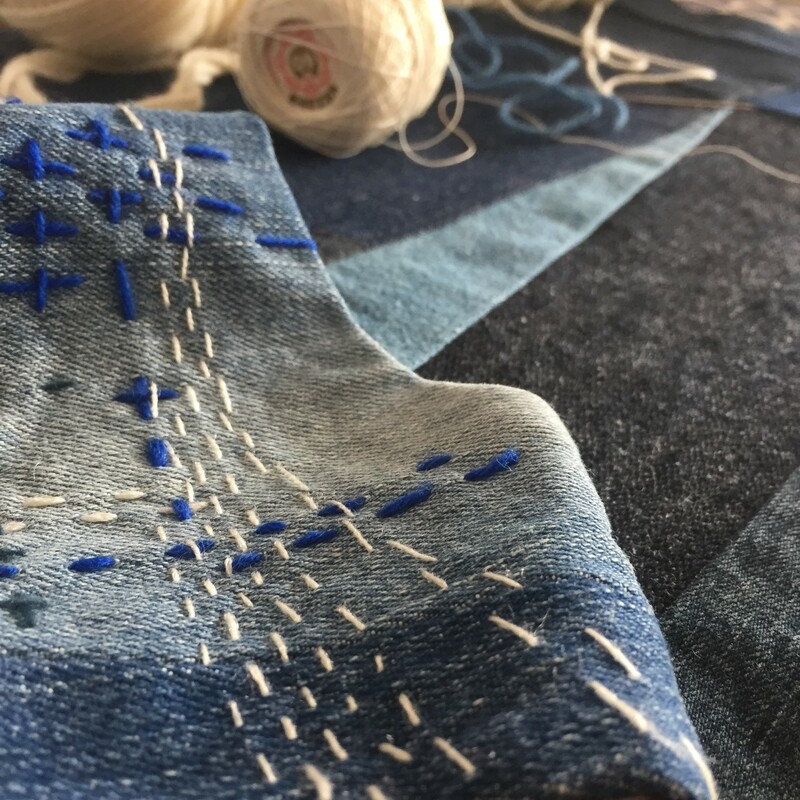 Join us on the 12th of April 12 – 2.30 pm at studio.ateljee.stiwdio, Main Street, Goodwick, where we will be experimenting with denim waste, sewing machines and Japanese hand-sewing Boro/Sashiko techniques as inspiration to create collaborative sample pieces that will transform into a textile sculpture through the run of this project. No sewing experience necessary, this will be relaxed, informal and fun. Denim waste, yarn or financial donations welcome to support this project. Collaborative Stitch is part of project S A M P L E, an exciting new Holy Hiatus project with a series of workshops and events, exploring colour, fibre, texture, light and sound. Holy Hiatus will be working with the community, local artists and designers, creating collaborative artworks for a multi sensory communal exhibition.